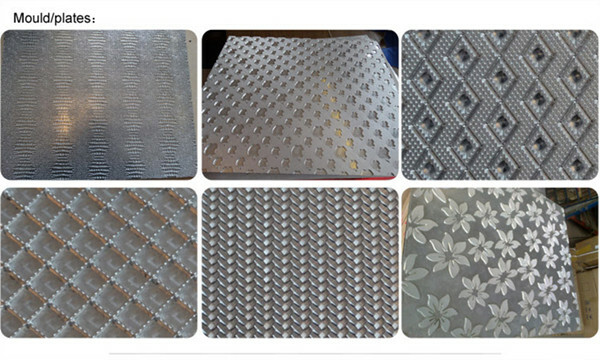 special for leather material embossing,polishing,perforating,cutting and so on. 2.Temperature, working force, heating time can be adjustable. 4.Work with plates and can desgin into any patterns. 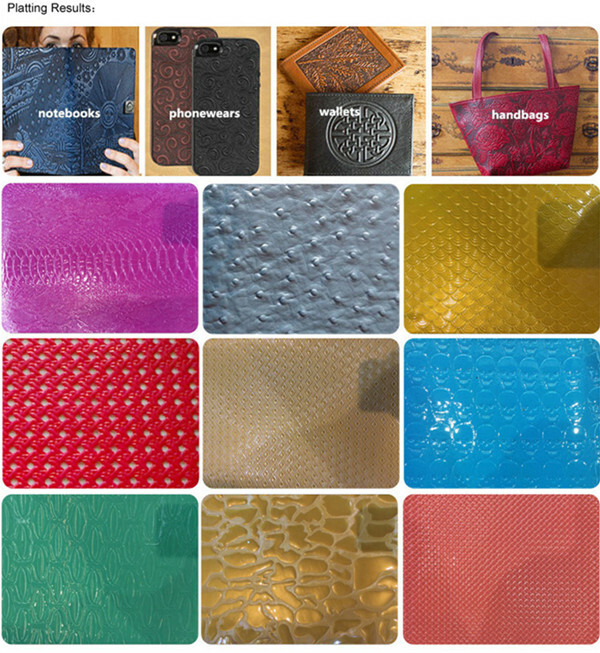 5.Can do polishing, embossing, plating,carving, perforatin in leather surface. 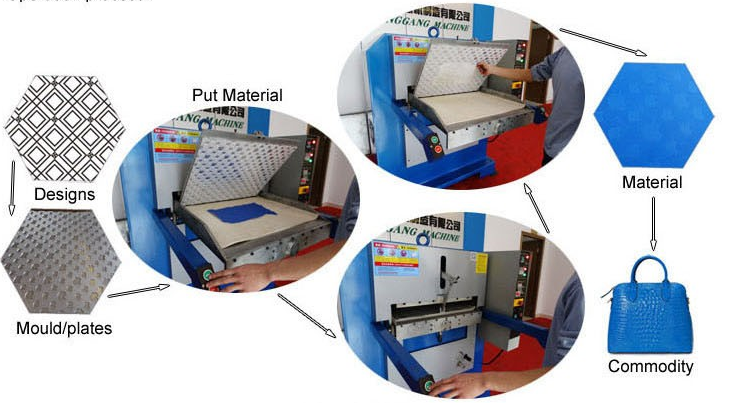 4.Adapt to moulds/ plates,plating,printing,punching,moulding,embossing,punching holes,engrave, change color ect by heater. 5.Plates connected to machine by 3M adhesive, easy change the mould/plates. 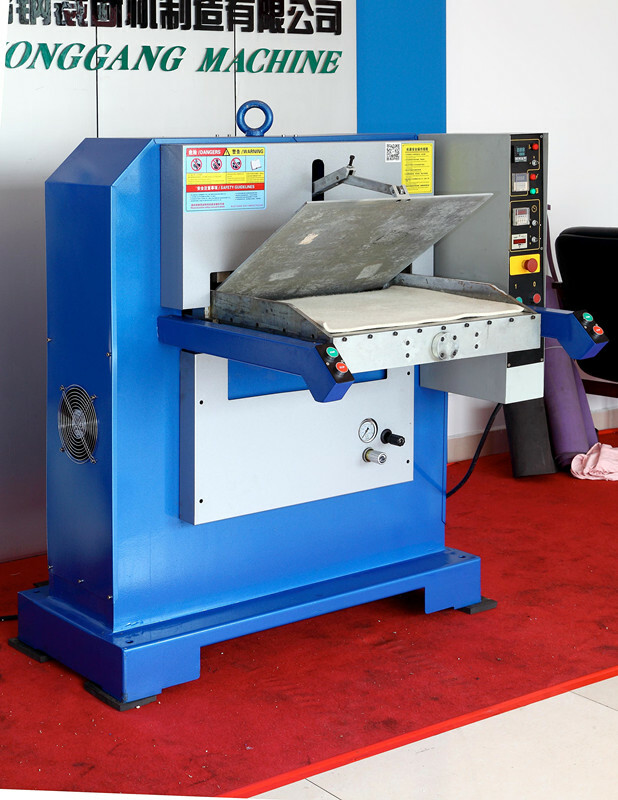 1.Special for leather embossing, polishing, perforating, cutting, carving and so on. 2.Used for embossing leather/PU/PVC for leather shoes, leather bags, leather cover and so on.